Shanghai Daily takes a look at a list of Hangzhou eateries and picks out a couple of must-try food outlets for out-of-town visitors. It wasn’t a case of a plague of locusts descending on Hangzhou for the National Day holiday, but it is fair to say every restaurant and eatery was packed with diners as 18.64 million visitors explored the local delicacies of Zhejiang Province’s most populous city. Popular cuisine, including West Lake vinegar fish, Dongpo pork and pian’er chuan noodle topped the gastronomes’ list without a doubt. 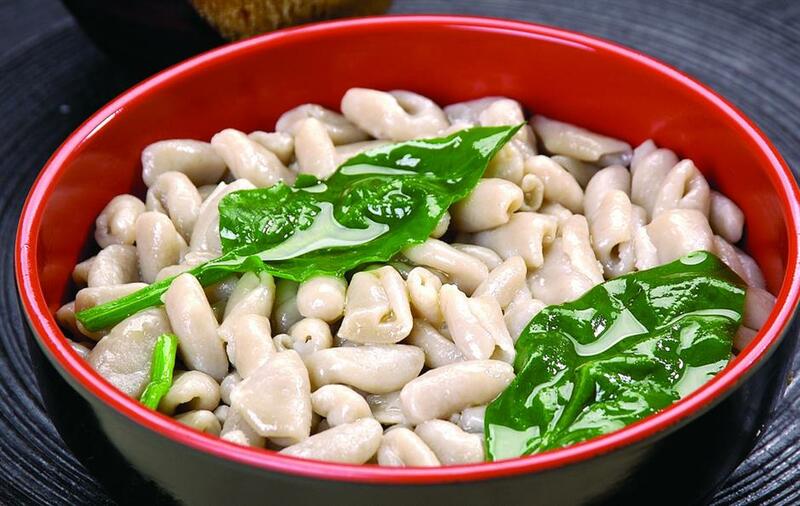 In addition, another 15 local dishes also found favor with foodies during the holiday. Shanghai Daily takes a look at the list and picks out a couple of must-try food outlets for out-of-town visitors. They are available in upscale restaurants and small bistros hidden in lanes. Some of them are seasonal treats that only appear in autumn. While people around China eat all kinds of sweet mooncakes, Hangzhou residents are among those who queue up for a saltier variety of the traditional treat made with ingredients not usually found in desserts: minced pork and pickled mustard stem, or zhacai. Though the Mid-Autumn Festival passed, this Hangzhou-style mooncake is still sold in the market. Oven-fresh flaky mooncakes are an all-time favorite of some foodies. It is best enjoyed when it is still hot with the aroma of pork and preserved zhacai, which goes well together. During the National Day vacation, foodies lined up in front of famous local mooncake brands, including Jiuzhizhai and September Life. When the weather turns cold, baking mooncakes will cease because they taste less desirable if eating them cold. Therefore, autumn is the best time to have a bite of this snack. 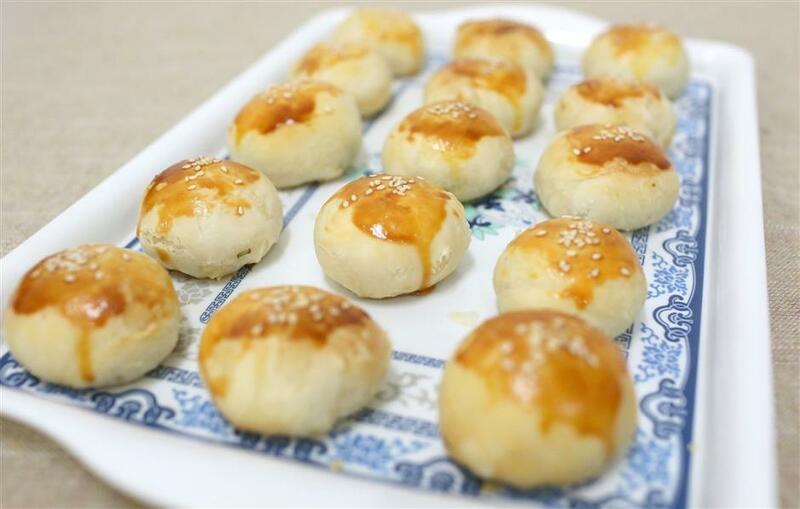 Before the mid-1990s, most Hangzhou pastries were sweet, but Jiuzhizhai created savory varieties, adding pickled vegetables and spiced salt, which found favor with Hangzhou locals. Its reasonable price and delicious taste attract long queues, especially during the Mid-Autumn Festival. Hangzhou’s air is tinged with the sweet scent of osmanthus flowers, which are in full bloom this month. From western-most Yangmeiling Village to downtown hidden alleys, these aromatic flowers are seemingly everywhere. Their yellow millet-sized flowers are collected for osmanthus syrup or to add flavor to food. Corresponding seasonal treats include osmanthus rice cakes and osmanthus wine. Due to the perishable nature of the flower, they are only available for a couple of weeks a year. 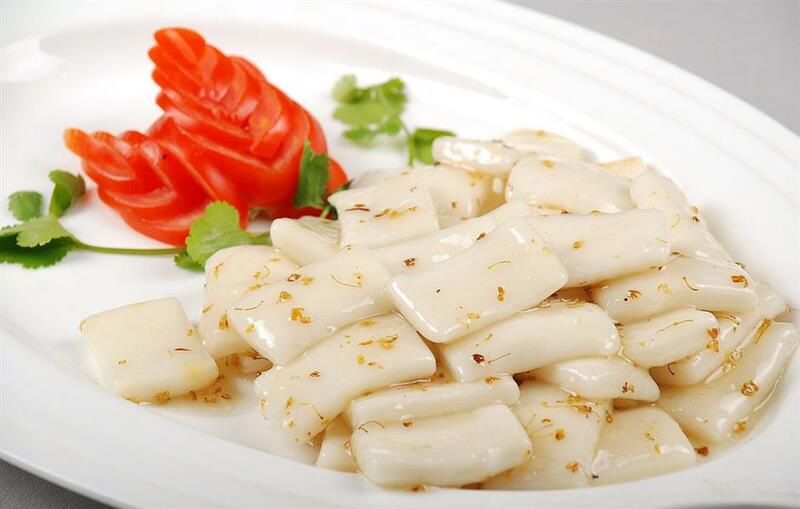 Over time, osmanthus rice cake is definitely the most popular. It’s simple to prepare as it’s made with glutinous rice, sugar and dried osmanthus flowers. Dried petals are sprinkled on it or mixed with flour and sugar to make the cakes sweeter with mellow smell. The cakes have long been associated with good luck and people sample them praying for a good life and fortune. They can be found at roadside stalls or big restaurants. It is often considered a traditional noodle dish in Shanxi and Shaanxi provinces, but it actually originated in Hangzhou. This lip-smacking snack always allures diners by its unique shape that resembles cat’s ears. The flour-made dough is mixed with chicken shreds, ham, mushrooms and bamboo shoots in soup. Northern Chinese people like wheat-based foods, while the southern people prefer rice. After some adaptation, this snack, a perfect mixture of the northern and southern cuisines, has become a favorite of Hangzhou people. Natives believed its origin was related to Emperor Qianlong (1711-99) of the Qing Dynasty (1644-1911). During his southbound incognito trip to Hangzhou, the hungry emperor tasted a bowl of cat’s ear noodles cooked by a little girl. She twisted dough into small slices and shaped it like cat’s ears. Boiled in the pot for a few minutes and sprinkled with some fish sauce and shrimps as seasoning. Qianlong brought the recipe back to the Forbidden City, thus making it a famous dish across the country. Today, it is a common snack for natives as it’s easy and fast to make.